Samsung SM-W2018 had reportedly entered into the testing phase last month. We have been hearing about Samsung's upcoming foldable phone with a clamshell design for a long time now. 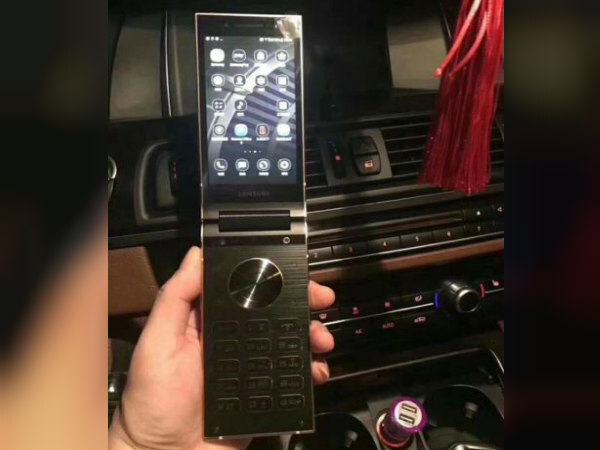 Besides we have seen some patent filings as well as heard all kinds of rumors mostly suggesting that this device will be a new flagship flip phone from the company. However, nothing comes close as to what we are about to share with you today. Well, live images of Samsung's flip phone have leaked online. 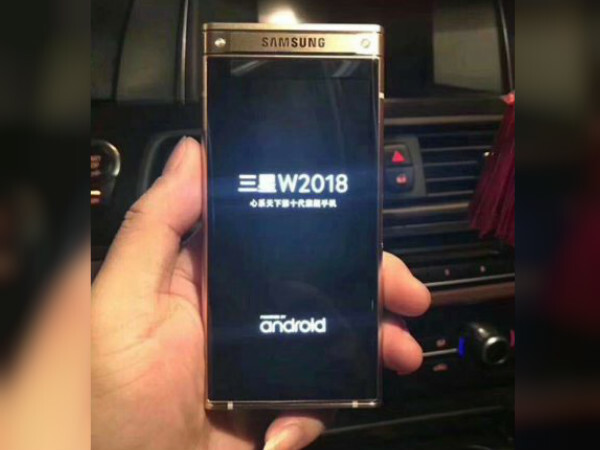 SamMobile reports that this smartphone will be called SM-W2018 and it will be an Android-powered device. The details about this smartphone have been scarce though. But again with the new leak, we are able to make out what the handset looks like from the outside and some features as well. 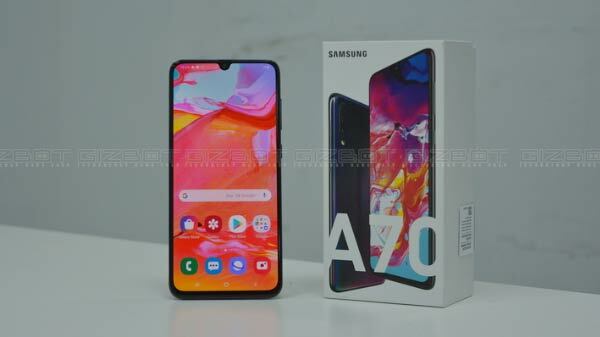 The leaked live images show that there are going to be two displays and it seems that the build quality looks and feels premium. 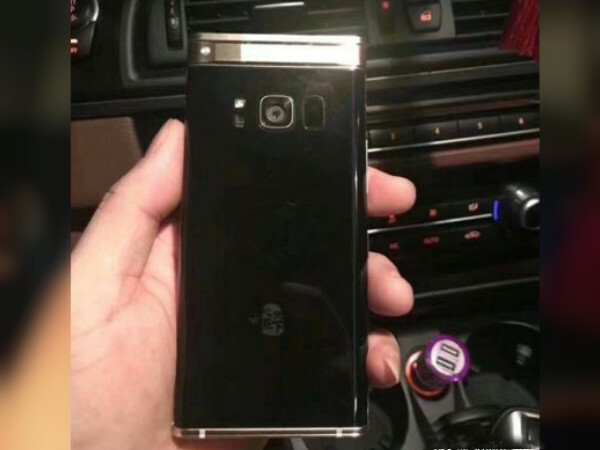 At the top, the smartphone seems to have a large bezel, but that is most likely where the hinge is set. There is a fingerprint scanner and a single camera with flash at the rear. On the inside, there is physical keyboard along with navigating buttons. The build seems to be of metallic in nature. The flip phone has a gold and black color combination in its body. The UI though looks decent and not exciting as much. So that Is pretty much that we can deduce. As far as previous reports are concerned, they have told that SM-W2018 will most probably come with flagship-level specifications. As such the handset is expected to come with two 4.2-inch Full HD display with a Snapdragon 835 processor, 6GB RAM and 64GB storage. 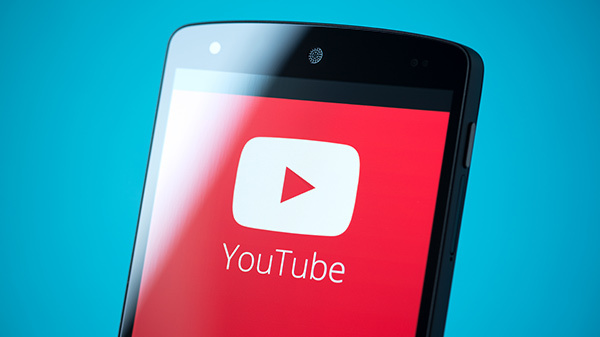 The handset could also sport a 12-megapixel rear and 5-megapixel front camera along with a 2300mAh battery. It was only last month that the news of SM-W2018 entering into the testing phase had broken out. But till now there were no reports about this smartphone. Besides Samsung hasn't said anything officially nor it has confirmed when it's going to launch the alleged device. Some say that it could be only exclusive to the Chinese market. What do you think about flip-phones? Do you still fancy it? Would you buy one if it is launched? Let us know in the comments.